Why “Bookkeeping by Download” is Bad Practice | Accounting Questions, Tax Tips, Personal Finance Topics and More! There are so many products, including QuickBooks, that allow a user to do what I call “bookkeeping by download”; the process of linking a bank account to QuickBooks and downloading those transactions automatically, bypassing the manual entry method. While this may seem like a timesaver, it’s not a good practice. Income and expenses that have not cleared the bank account will not be imported thus potentially creating an inaccurate statement of your company’s financials. There is no real-time balance of your accounts, only “bank balances”. Checks that have been written, but haven’t cleared won’t be entered. (This has caused some of my clients to incur overdraft charges or bounced check (NSF) fees – typically at $35 a pop. Expenses such as payroll are required to be recorded for the payday date (not when the checks clear). If you enter invoices for your clients and then you receive a payment, it will only show up as a deposit. Downloaded transactions don’t get applied to open invoices. An additional problem with this will be the deposit will go against an income account, so income will be overstated. When entered correctly, client payments are posted against open invoices. The invoices have already been counted as income (whether you get paid or not). In QuickBooks, client payments by default get entered into an account called Undeposited Funds (UF). When a deposit is made, it can reflect one or more payments in the deposit. Select make a deposit. A window will open showing all UF transactions in it. Check off all applicable transactions for the deposit. Then add any other funds that are being deposited that weren’t in the UF account window and click “save”. This reduces the balance in the UF account and increases the balance of the bank (checking) account. After this step has been completed, the user is able to download deposits and match them to the transactions already in the books. If you enter Vendor Bills in QuickBooks, they must be paid with bill payment checks, not regular checks. Bill payment checks reduce the vendor balance at the same time the bank checking balance is also decreased. If not processed correctly, and your books are on the accrual basis, expenses will be overstated because regular checks go against an expense account. Vendor bills already count as expenses as soon as they are entered so duplication of expenses will not provide an accurate financial statement. Once everything has been correctly entered, download your transactions and reconcile them. Credit card charges tend to hit the credit card account almost immediately. If any bills were paid by credit cards, then use the Pay Bills function and select Credit Card for Method. After entering all bill payments by credit card, download the transactions and match the bill payments and add the other charges as new. Transfers between bank accounts can result in duplicate transactions if the transfers are not entered one account at a time. In QuickBooks go to Bank, then Transfer, enter the date and the “from” and “to” accounts, then enter the amount. After making the transfer entries, the downloaded transactions can be match and reconciled to the “from” and “to” accounts. When in doubt, contact a professional! 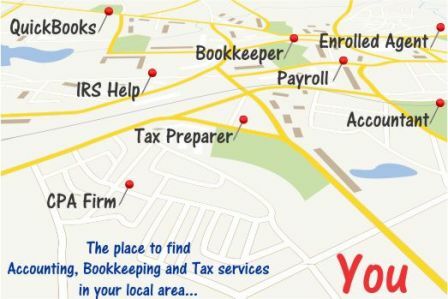 Many QuickBooks experts offer services locally and remotely and can help get your books in order to provide your company accurate financial statements.